Stop by our booth at the Aftershock show. The whole California Finest Family will be on site in Sacramento. Special guest rockstar appearances all weekend. Stop by our booth at the Hollister Independence Rally 2016 July 1-3 and learn more about our products and meet our special guest celebrity friends, Hip Hop artist Baby Bash, Leon Hendrix - the brother of late American guitarist Jimi Hendrix and Andrew Bryniarski aka Leatherface from Chainsaw Massacre. We look forward to meeting everyone and are excited to Light Up America!!!! 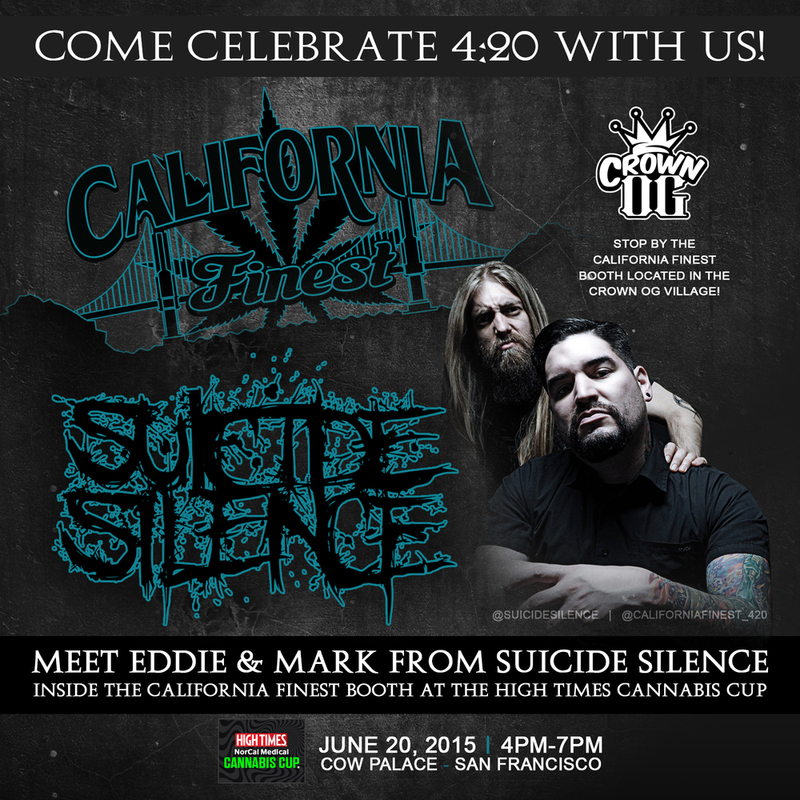 Meet Suicide Silence at our booth at the High Times Norcal Cannabis Cup 2015 at the Cow Palace, San Francisco! Stop by from 4pm-7pm, we are located in the Crown OG Village! Vote for us, "Best Product!!! Stop by our booth to taste all of our strains. Stop by the California finest booth. Stop by the California Finest booth and try all of our strains.